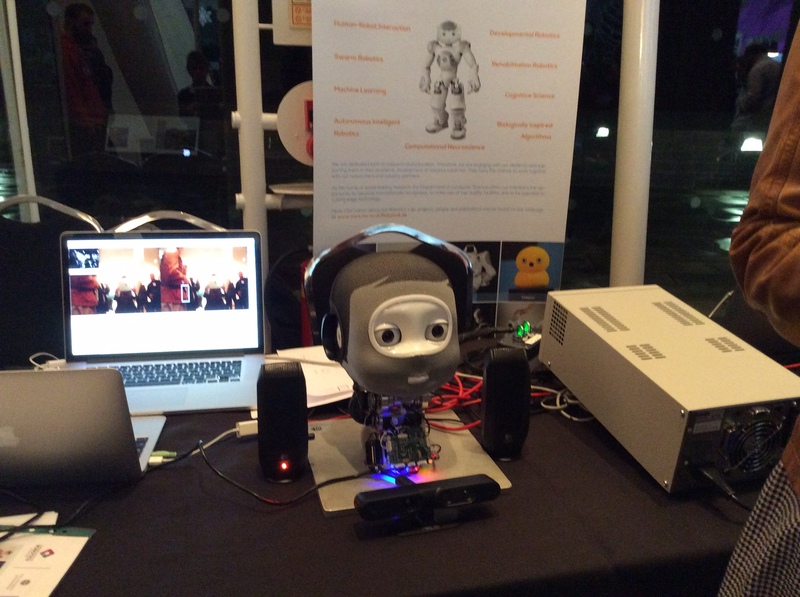 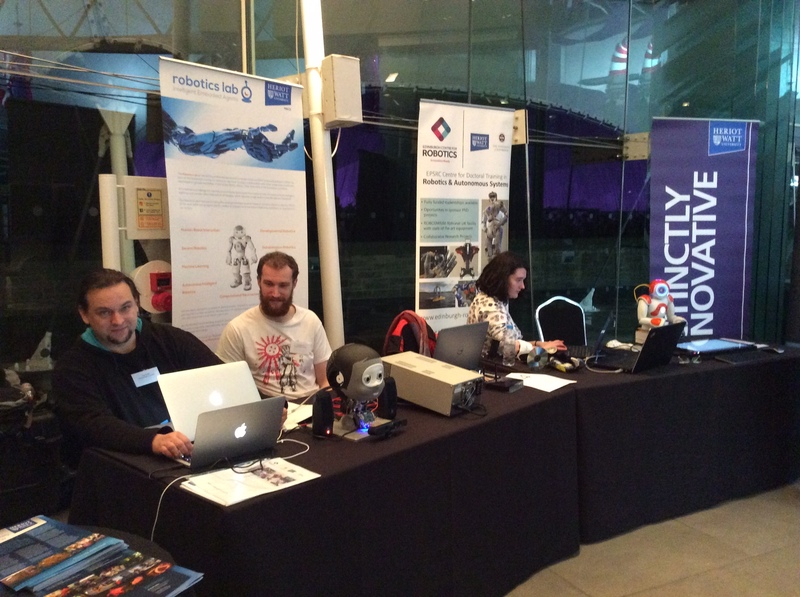 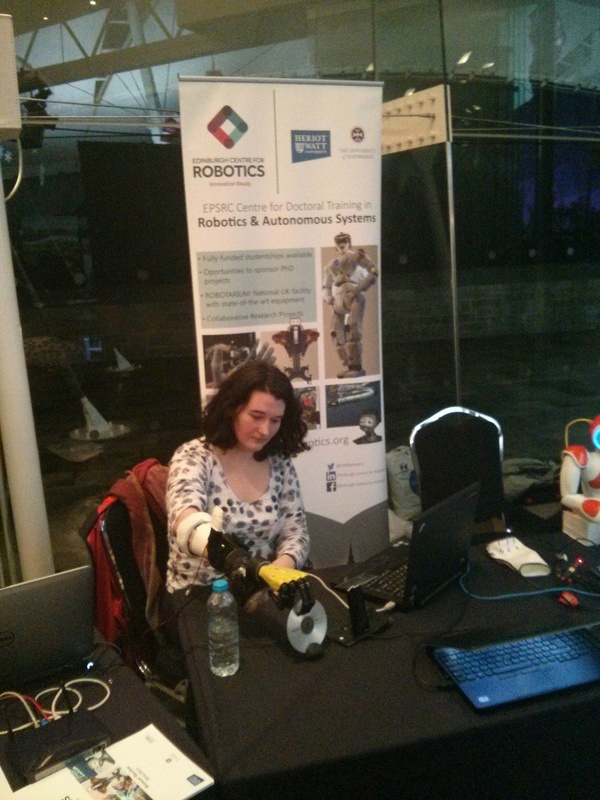 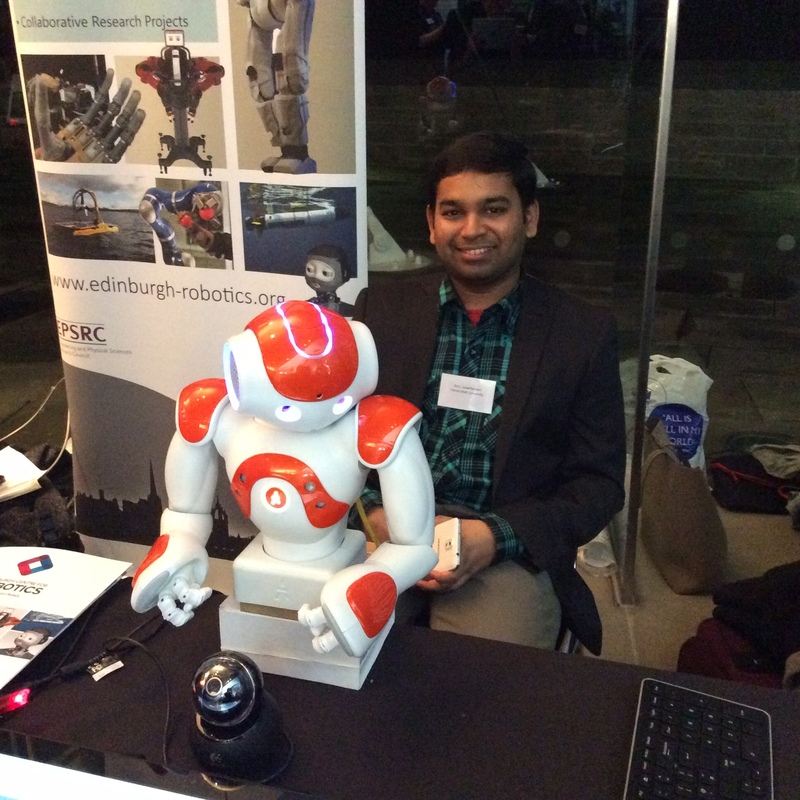 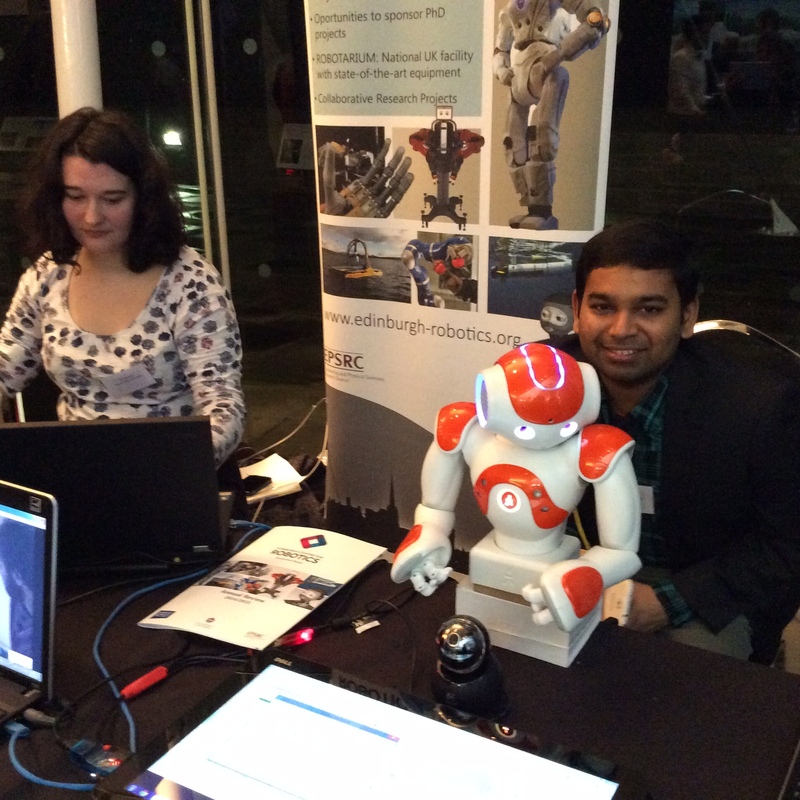 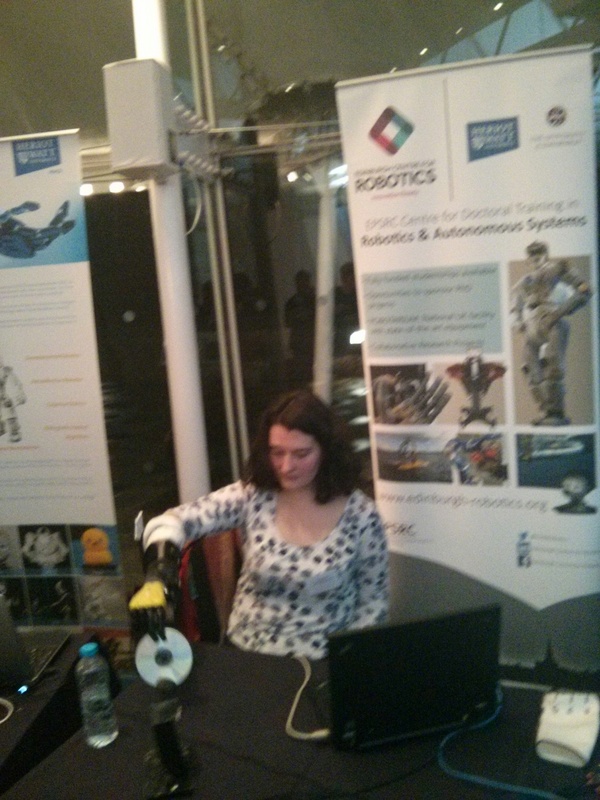 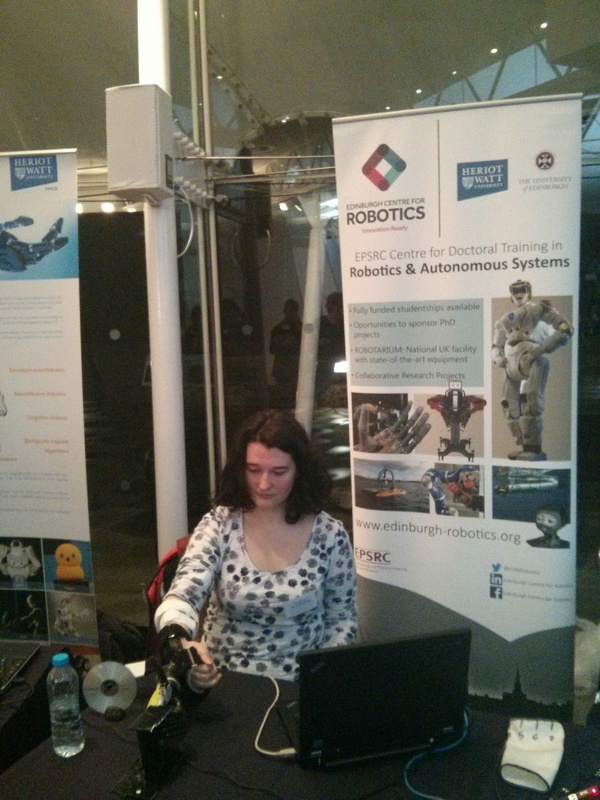 The Edinburgh Centre for Robotics featured strongly in the Heriot-Watt University showcase of Laser-based Manufacturing, Marine Science and Robotics at the Scottish Government reception celebrating ‘Scotland's Science - Past, Present and Future’. 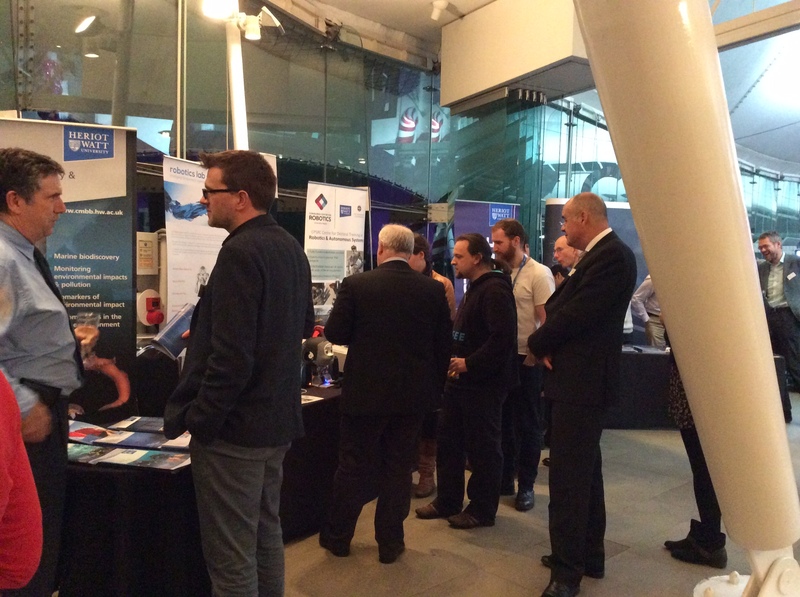 The event was held on Tuesday 8th December at Our Dynamic Earth and was hosted by Dr Alasdair Allan MSP, Minister for Science, Learning and Scotland’s Languages; the guests included the Principal, Professor Richard A. Williams. 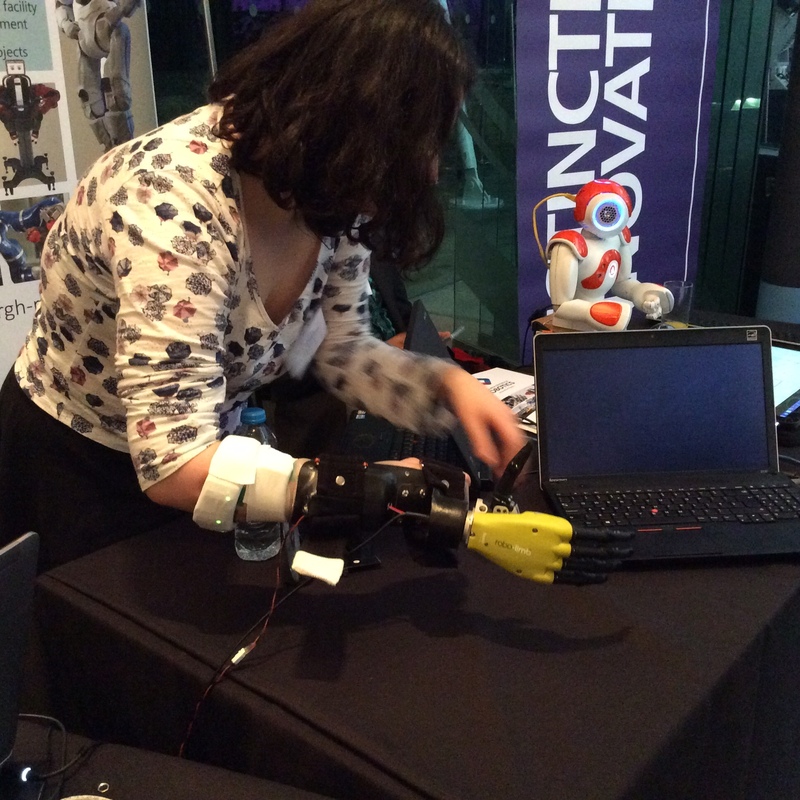 One of our 2014 cohort students, Iris Kyranou, can be seen in the photos using muscle activity information to automatically control a prosthetic hand and manipulate different objects.